Gati-Kintetsu Express Private Limited (Gati-KWE) is a joint venture company between Gati – India’s pioneer in Express Distribution and Supply Chain Management and Kintetsu World Express – Japan’s leading logistics provider. An intrinsic network that spans the length and breadth of India Gati-KWE has a reach of more than 99% of the districts in India. A large fleet of more than 5000 vehicles and an assured space across 32 airline sectors ensures that all couriers, cargos and shipments are delivered in time at the right place. Gati-KWE today is the most preferred Express Distribution and Supply Chain Solutions provider because of its ability to handle every distribution need of its customer. GATI-KWE offers array of value added services that cater to every need of your business. Tamper-proof transit: Our every vehicle is sealed with a one time lock before the journey to ensure a tamper proof transit for your shipments. Premium Plus Service : A specialized service designed to cater to time-critical shipments. This service promises to deliver shipments within 12 hours the same day or before noon the next day across all major ports in India. Premium Service : Designed for shipment that needs to be delivered urgently and at the same time being cost effective. This service assures delivery within 24 hours, 48 hours and more than 48 hours (multimodal) to all locations across India. A well-developed wide network and an optimized route planning system enables disciplined delivery. 24/7/365 service level monitoring system that ensures safety, security and on time delivery. 24×7 customer care center that provides support for every query. Online tracking, sms and e-mail updates of your shipment in transit. Operates in 32 airline sectors. 24 x 7 service counter for booking your shipments. Door pickup & Door delivery. 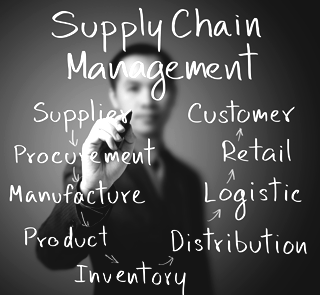 Expertise in handling high value shipments & perishable goods. Online Track & Trace System. 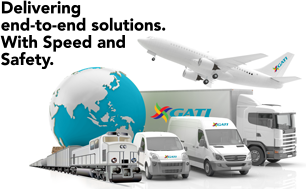 Express Plus : This is a high speed surface cargo movement service offered by Gati-KWE. Express Plus service enjoys direct express route connectivity across major locations in India thereby ensuring your shipment reaches ahead of time. Express : This is a cost-effective surface cargo movement service for shipments that have a time-definite delivery schedule. 16 Express distribution Centers and 61 Gati-KWE distribution Warehouses working in a hub and spoke model to ensure on time and seamless delivery at destination. More than 5000 vehicles across the country help us deliver every shipment in a time definite period and helps us to stay ahead is reaching translating to give our customers the competitive edge. A well-developed wide network and an optimized route planning system enables disciplined delivery & in being highly efficient express cargo delivery company. Mode of Payment can be done through: FOD, COD and DOD. To ensure your business is always on the move, Gati-KWE has introduced a pan India Parcel Train network , offering fast and safe connectivity across the country. 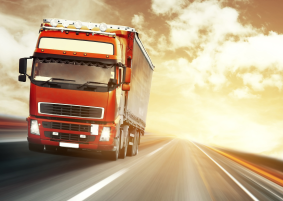 It’s a cost-effective and hassle- free service for point-to-point bulk goods transportation on any given day. Gati KWE has introduced a new array of services for all your smaller courier and parcel needs. Now, you can courier or parcel your light weight shipments, artworks, luggage, books, and others that need to be shipped urgently. All shipments from 5 Kg to 20 Kg are accepted in our Special Services package at highly competitive prices. Premium Flexilite is an air service designed for lightweight shipments up to 5 kgs, where the pricing is fixed according to the weight**. All shipments are delivered in tamper proof pouches. Shipments from 1kg – 5kgs @ just Rs. 150/Rs. 200* per kg. *conditions apply: Service tax as applicable. Service by surface mode. **Service tax as applicable and ATF charges as applicable. “Secure Box” – A special service for sending fragile shipments up to 10 kgs at just Rs 450/600* (in zone/across India) via air mode. Safety box is a hardbound flute box, especially designed for the safety and security of items. *conditions apply: Service tax as applicable. Service by surface mode. Student Express – An exclusive delivery service with pocket friendly pricing, designed for students who need to transport their luggage while relocating from home to hostel & back. We provide assistance in packing, holiday & sunday pick up /delivery of shipments in weather-proof container vehicles. Art Express is an extra special service, which offers expertise in handling, packaging and transportation of art peices like paintings, murals and sculptures. It caters to the needs of private collectors, antique dealers, galleries, corporate buyers, fine arts specialists, interior designers and artists getting ready for an exhibition. Gati Laabh is one such offering which understands that every customer has a unique need. A specially designed cost effective service for sending large shipments up to 20 kgs at just Rs. 440* anywhere in India via surface mode. It caters to regular parcels and courier requirements of small and medium enterprises. *conditions apply: Service tax as applicable. Service by surface mode. A non-commercial service for sending shipments up to 5 kgs at just Rs. 220* anywhere in India via surface mode. Desk to Desk Cargo is a non-commercial service for sending shipments up to 5 kgs at just Rs. 220* anywhere in India via surface mode. All our services customized to the customer’s requirements advocates this statement. Taking a step ahead, GATI-KWE has introduced an amazingly affordable product especially designed to courier your non–commercial packages. GATI-KWE offers a flat shipping rate of Rs. 220* for a single package upto 5Kg. This service is ideal for household and industries willing to parcel samples, gifts, printing material etc. This service is backed by GATI-KWE’s wide network and over two decades of experience in express distribution and supply chain solutions.